MISS NATASHA ENQUIST: ELECTRO-ACCORDION CHANTEUSE: Accordion Noir's "Best of 2008" Radio Show! 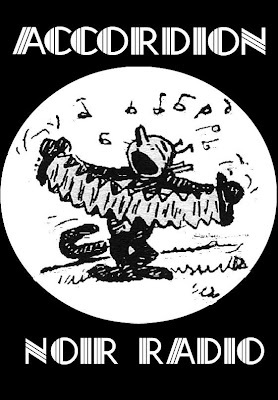 I can be heard on Accordion Noir's "Best of 2008" Radio Show!!! http://accordionnoir.org/drupal/node/126. Very exciting indeed! It was wonderful to be on their show last March 2008, to celebrate International Women's Day to be exact. I was also a part of their First Annual Accordion Noir Festival in October 2008, along with Geoff Berner, Ami Denio, and the Creaking Planks. Many thanks to the wonderful hosts of Accordion Noir Radio: Bruce Triggs and Rowan Lipkovits!